Do you struggle to stay motivated? Most people do. One of the biggest reasons people lose motivation is because they're bored! We call this Routine Fatigue. Someone with Routine Fatigue may say something like: "I don't have time for working out right now". Or..."I'll start back at the gym next week". We have the secret to smashing Routine Fatigue. We have the missing piece in your fitness journey and we're going to share it with you right now. The secret is...workout programming that is constantly varied! With a new workout every day your motivation will come naturally because you will never be bored. We also have a community full of women just like you doing the same workouts as you every day. You will never find a better support system! 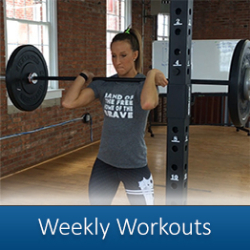 Claim your free 7 day trial of our constantly varied workouts now! Every day is a different workout consisting of warm-ups, strengths, metabolic conditioning & cool-downs. With TTSL Daily Programming you can be sure that you're doing what needs to be done to reach your goals. 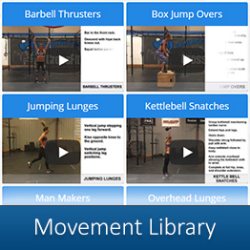 TTSL Daily offers a video movement library demoing each and every exercise and movement. Learn how to move safely & effectively. Never be unsure if you're doing an exercise right again! 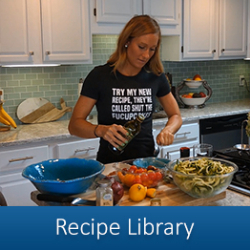 The TTSL Recipe Library consists of a collection of real meals to properly fuel the amazing machine that is your body! Learn how to correctly give your body what it needs and never do another band-aid fad diet again. 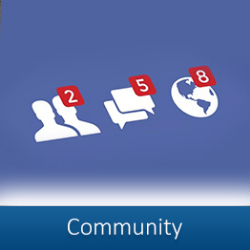 Join our FB group consisting of over 17,000 strong & supportive women that are just like you. Ask question, share victories and get motivation to stay on track! TTSL Daily is built for all ability levels. It doesn't matter if this is your first day or your 10th year. This program is designed to be modified regardless of where you currently are in your fitness journey. Never worry if your efforts are paying off. Each day you will know that the work you put in is exactly what you need to reach your goals. TTSL Daily programming is different every day. Never doing the same workout twice means you will get optimal results and never have to worry about being bored or losing motivation. Weight suggestions for beginner, intermediate & advanced.